One day after unveiling the Moto Z2 Play, Motorola has launched the Moto C in India. This is the first-generation of the budget priced series. The device will be available today in all leading stores in over 100 cities in the country. Consumers will have two color options to choose from, Pearl White and Starry Black. The handset is priced at ₹5,999, which is the equivalent of $94 U.S. Dollars, and that makes the Moto C the lowest priced handset in the long and illustrious history of Motorola. So what do you get for for that price? To start with, the phone features a 5-inch display carrying a resolution of 480 x 854 (FWVGA). To put this in perspective, the resolution is the same as the one employed on the 4.3-inch display found on 2010's Motorola DROID X. Powering the device is the MediaTek MT6737 chipset with a quad-core 1.1GHz CPU, and the Mali-T720 GPU. 1GB of RAM is inside along with 16GB of native storage. A 32GB capacity microSD slot is available for those seeking additional storage. As you can see from the specs so far, you are getting what you paid for with the Moto C. And the cameras are no exception. A 5MP camera adorns the back of the phone, and the 2MP front-facing selfie snapper has a fixed focus. Keeping the lights on is the 2350mAh battery, and Android Nougat is pre-installed. Overall, we wouldn't expect a buttery smooth performance from the Moto C.
While India is now the second largest smartphone market in the world, the average working stiff in the country makes under $3.10 USD a day. In 2015, 70% of the handsets purchased in India were priced under $150. 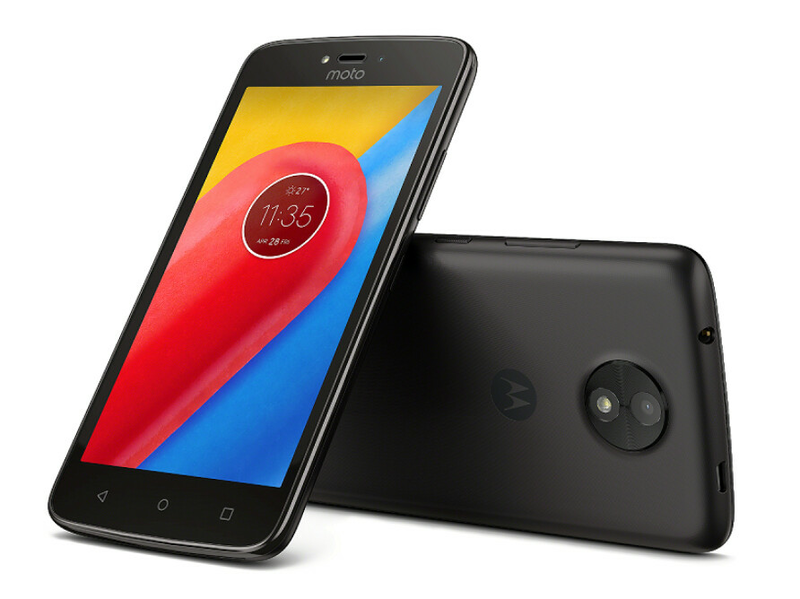 The Moto C is made to compete in India and other similar markets. Interestingly, the Moto C Plus, which is supposed to offer a 720 x 1280 HD resolution on its 5-inch screen, was conspicuous by its absence. "....average working stiff in the country makes under $3.10 USD a day" Poor US people don't compare your highly over priced market with India. You don't know what is the value of 3$ in india....(In 3 $ you can get full month of unlimited 4G mobile data..... same is with other things except some over priced s**t like iPhones). This is a joke considering that Xiaomi and Coolpad are now very popular in India offering very good handsets for not a lot more.